Frugal & Fabulous: Make Your Jeans Brand New Again! Make Your Jeans Brand New Again! Love super dark denim? Me too! But I hate when it starts to fade. 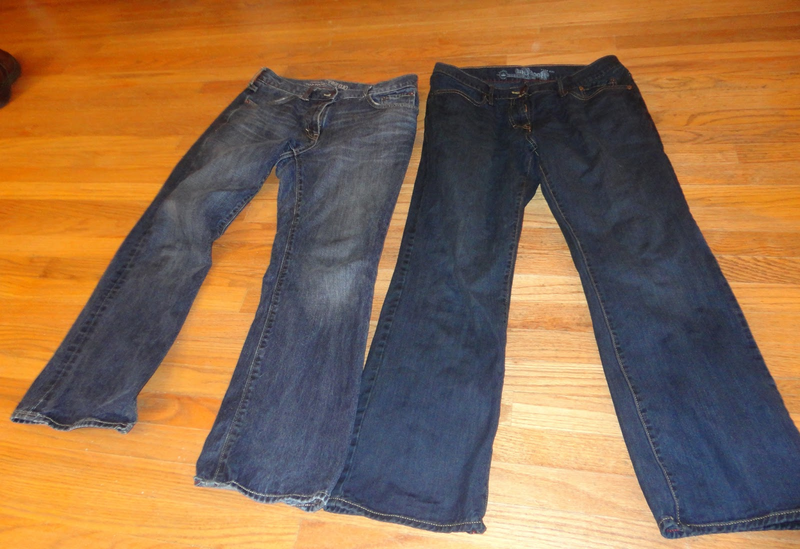 If your jeans are looking a little worn out, try this trick my husband and I just tested! 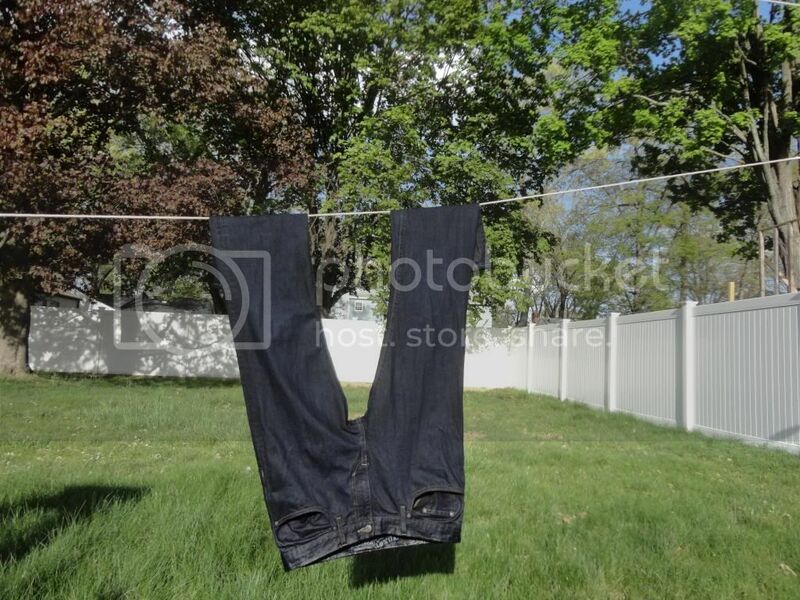 Our jeans look brand new again! Purchase two packages of Rit Fabric Dye (available at Walmart & most craft stores for around $2.20 a box) You want to get a box of Denim (or Navy) and a box of Black. 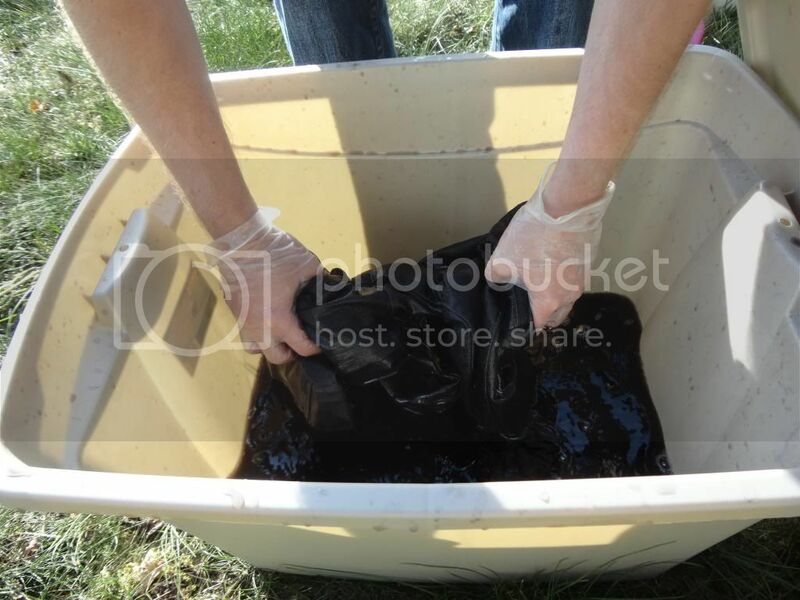 Get a large bucket or rubbermaid bin and fill with about three gallons of very hot water (enough to cover whatever you are dyeing.) Add a cup a salt and empty the two Rit packages in the bin. Stir everything up and add a pair of jeans to the mixture. Let sit for 25-30 minutes a pair, stirring every couple minutes to make sure every part is saturated. 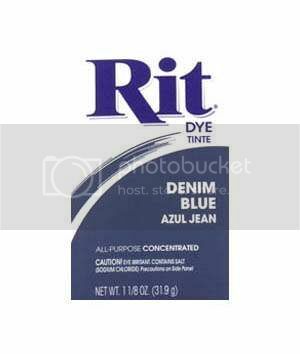 Have you every dyed your jeans before? If so, do you have any tips or tricks? Please share below! Awesome. I actually need to do this, and will probably do it with my black jeans. Thank you! !